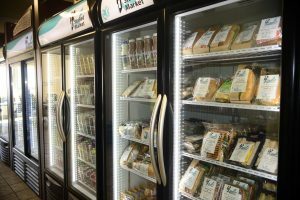 At Cee Vee Vending, we proudly provide our clients with a wide variety of services, yet what our customers seem to appreciate most is our commissary-prepared food options. When you turn to our specialists, you can rest assured that we will always meet your food requirements. By making our Pittsburgh commissary your source for in-house eating, you and your staff will enjoy an ever-changing menu of delicious choices. Our customers appreciate our evolving menu and the consistency of keeping their favorites, even if they are not on the current menu rotation. 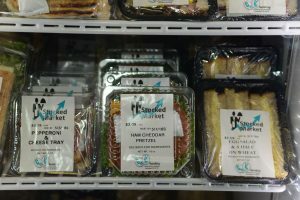 We are large enough to handle the food requirements of any sized company, yet small enough to remain flexible with each client’s unique food preferences. You can count on our specialists to make the appropriate accommodations. Since 1997, our Pittsburgh-area commissary has served the needs of companies throughout the tri-state area. Inspected by the Food and Drug Administration (FDA) and the Pennsylvania Department of Agriculture, you can be sure that all of our commissary-prepared foods are prepared in strict accordance to ServSafe procedures and our own high standards for quality and safety. By adding a micro market to your business, it allows our commissary to prepare larger sized servings, as well as healthy choice meals. Our vendor in Pittsburgh, PA, offers breakfast, lunch, dinner, and dessert items to please customers of every taste. We also use a wide variety of items from our “Wise Choice” menu to prepared options for health-conscious employees. Are you considering a change in your facility’s food service provider? At your request, we will happily provide you with several food samples from both of our menus to see which items are the best received by your employees. You can be sure you are getting some of the highest-quality items and food service available from Cee Vee Vending. Contact us for a sampling of our commissary-prepared food. Based in Darlington, Pennsylvania, we proudly serve clients in Pittsburgh and throughout the tri-state area.